For our first mini unit we studied the fall and legacy of Rome. Pods researched the different cultural influences Rome has on the world and made a mini poster to present to the class. 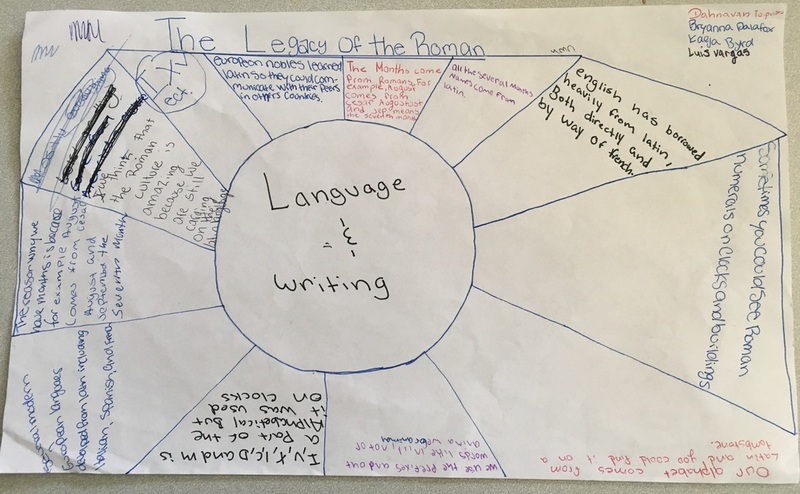 Here is a poster outlining the cultural influences of Roman language and writing.